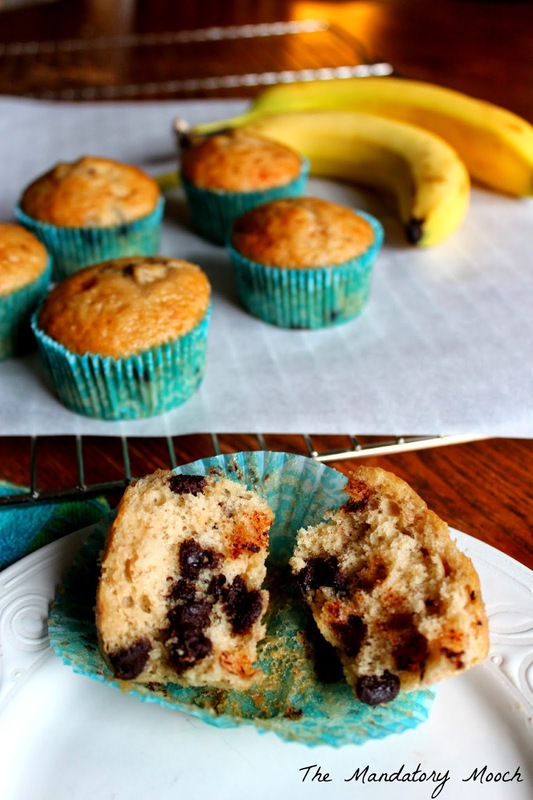 These extremely moist and delicious muffins are a new favorite in my house. Of course they came about by raiding my pantry on a Sunday morning looking for breakfast. The combination of butter pecan, banana, and chocolate chips is irresistible. Mix all ingredients together until fully combined, except chocolate chips. Fill muffin papers 3/4 full. Bake at 350 degrees for 18-20 minutes until lightly browned.